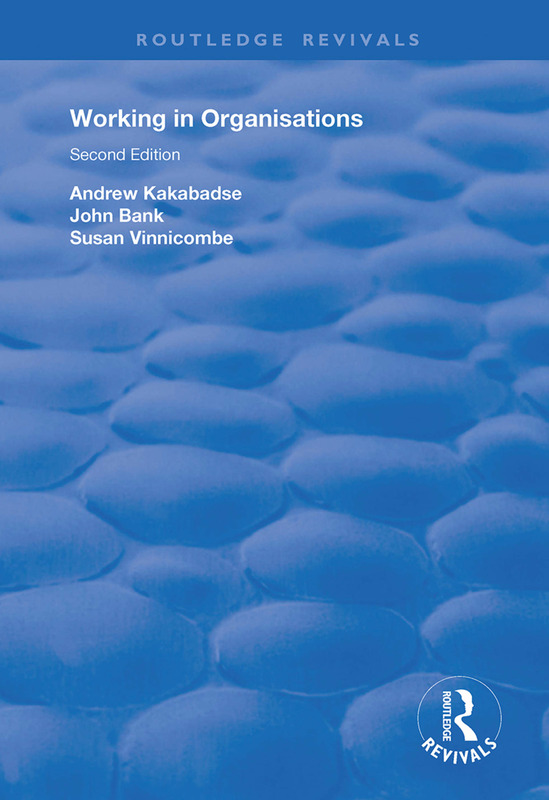 First published in 2004, this volume recognises that, as society changes, so must its organisations; as organisations change, so must their management competencies. The requirement for organisations to be flexible, innovative and adaptable in environments of increasing complexity and uncertainty is also a requirement of any organisation’s most essential resource: its people. They not only work for the organisation – they are the organisation. The second edition of this highly successful book provides a comprehensive and thought-provoking examination of the operational and strategic skills, demands and responsibilities of the modern workforce, and in particular its management. Reflected here are the manager’s new and changing priorities. Attention is given to the manager’s role, the motivation to work and succeed, and teamworking. Also emphasised is the new psychological contract, highlighting reliance on self whilst maintaining sensitivity to diversity concerns. Providing clear and decisive leadership requires the projection of a vision that captures the imagination of others, but inevitably managers face conflict and adversity. Working in Organisations therefore discusses how power and politics can be moulded to positive advantage. The challenges facing organisations go beyond cost and profitability, as political and environmental challenges have forcefully entered into managerial responsibility. The book asks 'What is the ultimate purpose and contribution of organisations?' and highlights profound governance and ethics concerns. The design of organisations is also explored, and how creating appropriate structures will in turn focus resources to achieve desired ends. This book provides a broad coverage of key issues, ranging from a close examination of the manager's job to a discussion of the corporate and social forces that determine our lives. Written in an easy-to-read style and bursting with case examples, Working in Organisations acts as mentor and guide to those whose quest is for ever greater sustainable accomplishment. Written by a distinguished team of authors, this book will continue to be welcomed as the definitive text on organisational culture and change for academics, researchers and managers around the world.